The first week of November is underway, and, well, it hasn’t felt like November at all. It’s been just as hot as August, and it’s starting to wear me down just a bit. At some point there has to be a break, and I just hope it’s soon. We had some unexpected twists and turns this week, which made things a bit complicated, but that’s life. Even after a late Halloween night, I was feeling pretty good when I got up to do this eight-miler. I plotted a semi-new route and everything seemed to fall pretty well into place. Mr PugRunner planned for my parents to come over for football, so he went to get lunch things from the grocery store while I showered and chilled out. Little man wasn’t interested in watching the game (and neither was my mom), so we decided to go see Goosebumps instead. It was a nice way to spend the afternoon. I was supposed to have a body circuit class, and I have been incredibly consistent about going, but this Monday, I had to take a pass. Neither Delilah nor Bentley was feeling better, so we had to take them to the vet. I had been googling their symptoms and (obviously) was not coming up with any comforting answers, so it was best to have them looked at by a professional. Dr R started with Delilah. She was coughing, but she had not been exposed to kennel cough and her heart and lungs were perfectly clear, so he was able to rule out that and congestive heart failure (thank goodness). He put her on antibiotics and a cough suppressant as treatment for an upper respiratory infection and said to check back with him if it didn’t clear up in a few days. Bentley was a little more tricky. Since the day we got him, he has not liked being handled in any way but anyone. It makes things difficult, especially when he needs a full exam. Dr R was able to isolate the source of the problem (the right side of his head/neck/jaw), but even with an injected sedative, Bentley was having no part of things. We finally had to agree to have him be put under so they could figure out what was wrong. Turns out, the poor thing had an abscess and needed some minor surgery. He is back to his normal, crochety self, and we are so happy everything is ok. The ladies in my running group were both out of town, so I went ahead to take on the bridge by myself. It was tough and hot, and I did have to go back to my car halfway to get my iPod for some music. But I got it done and felt great afterwards. Mr PugRunner and I celebrated nine years! Happy anniversary to us! We had kind of a lazy day, where we went to lunch on the beach, and then we went out for dinner to a new winery in our area. I’m not usually much of a steak person, but this trio of filet medallions sounded too good to pass up. It was a lovely day of celebrating and I am looking forward to many more years with my best friend and little family. For the first two miles of this morning’s run, I was feeling fabulous. The second half of the run was a humid, sodden, soggy mess. Ugh. I am so ready for some hint of fall or winter. I got a lovely surprise in the mail in the form of this puggerfly medal! It was for the Virtual Pug Run to benefit Northern Illinois Pug Rescue. 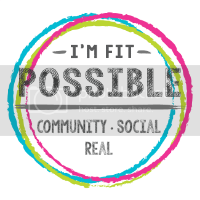 This is the second year that Shannyn at Frugal Beautiful hosted the event, and I was so glad to be a part of it again. I ran the miles for the 10K a few weeks ago, and was thrilled to get my medal. When I got home from work, I got to work with last minute cleaning and tidying: my brother-in-law, father-in-law and stepmother-in-law were all coming into town and we had to get ready! This was probably the hardest class I’ve done yet. It was suffocatingly humid, and we were all dripping by the time the class was over. Yuck. I am, however, getting much stronger, and it’s nice to see evidence of that. By the time I got home, my brother-in-law was there, and it was time for visiting and catching up. We had lunch with my parents so we could give them their official walk t-shirts, and then waited for little man to get home. We ordered pizza to enjoy with the fire out back and called it a night. It was going to be another early Saturday. Our day began at 5:00 AM. We made sure we had all everything and took two separate cars to the walk: Mr PugRunner took his brother and went to pick up his parents from their hotel, while little man and I went with my parents to pick up bagels and coffee on the way. We had a wonderful team and lots of great support. We didn’t get home until later in the afternoon, and spent the rest of the day eating and watching football. More on that whole experience soon! With the sick pugs and the weather, it was a particularly exhausting week. It was wonderful to visit with the family we don’t see often, and I was glad to be able to get everything done. It’s time to start filling in the race calendar for the next few months. 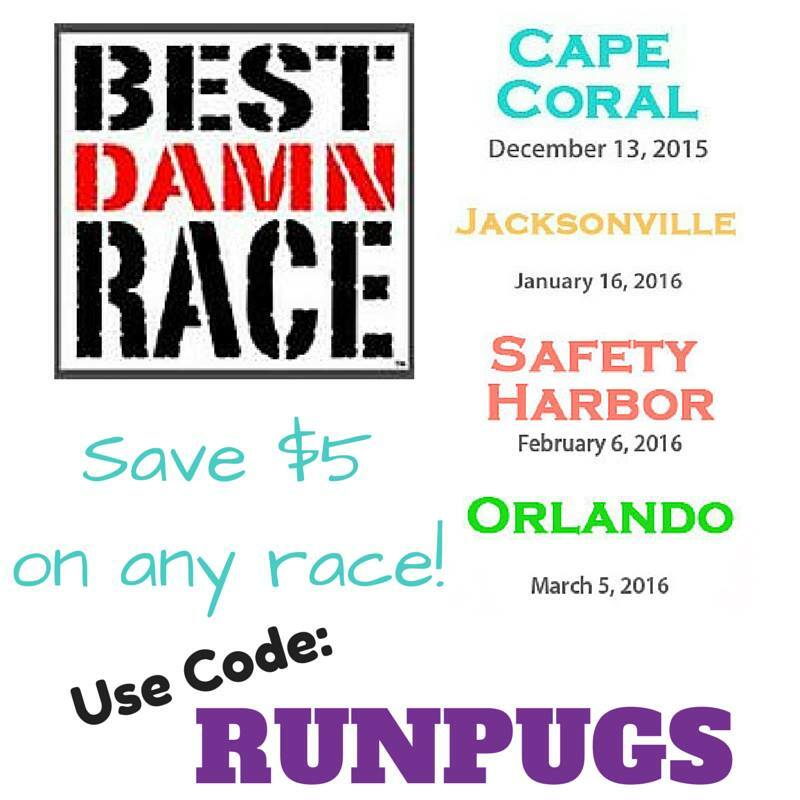 Don’t forget that Best Damn Race is coming to four Florida cities (Cape Coral, Jacksonville, Safety Harbor and Orlando) and you don’t want to miss out! Will I see you in Jacksonville or Orlando? Or will you be at one of the other BDRs? What races are you looking forward to in the upcoming months? Wow. You had a busy week. Still a good week of training for you. It’s been a warm fall here too (in the NE) but not as warm as Fla.
We are just FINALLY seeing cooler temps. It’s awesome. Great job on your runs for the wk. Cute medal for your virtual race. Sorry to hear that the pups have been under the weather. Hope the antibiotics help. Happy anniversary! 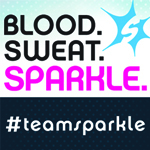 lacey@fairytalesandfitness.com recently posted…Why this is a very special 5k. They are doing so much better, thank you! Glad the pups are on the mend! What a week! So impressed you were able to get all those miles in AND cross train! My training is non existent again… which isn’t such a good plan! I have a 5K on Saturday and haven’t run in a few weeks. Oops. It’s going to rain tomorrow though, so no riding. I’ll make sure to get my lazy self on the treadmill instead! Can’t wait to read about your walk. 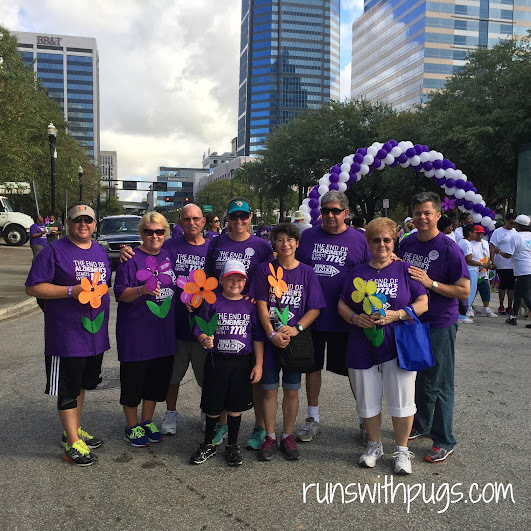 A great cause to walk for! They are doing better! I hope you did great in your 5K, regardless!